No state shall "deprive any person of life, liberty, or property without due process of law. "Due process"do not mean to hinder a file, or alter documentation "to make it fit"what your trying to prove in court DSS,hence your going to be sued,by such individual once it is realized,by such injured,of your malfeasance,fraud on/upon the court of South Carolina,Va.N.C. DSS shall be held accountable,timely for such abhorrent treatment,against the "TRULY INNOCENT." S.O.L.E. and BELLAS LAW STUDENT NETWORK work hard to continue to help those who are suing pro-se(self file)timely and aggressively,uphold these most inherent United States constitutional principles -- integrity of a person's body,to right to freedoms along with our Due Process Clause-of the Fourteenth Amendment,and our well-establish Fourth Amendment,First,Fifth,Ninth Amendment. Loving Families,North Carolina,VA.,have a right to sue when such child,grandchild,are being violated. It really is as, Simple as that. 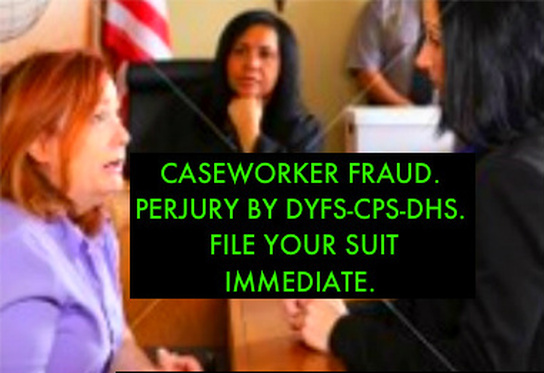 When your not suing,and taking ALL pre-requisite steps to ensure your suit is filed,in a TIMELY-MANNER,your right to FINALLY hold horrid child protection services,per caseworker,supervisor accountable shall expire.